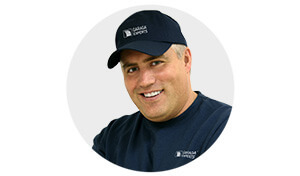 Cadillac Garage Door & Grand Traverse Garage Door are a family-owned and operated company serving northern Michigan since 1982. We operate in two locations, Cadillac and Traverse City, MI and we take great pride in selling and professionally installing premium quality residential, agricultural, commercial, and industrial garage doors manufactured by Garaga, the largest Canadian producer of garage doors. In addition, we offer dock equipment, sectional, rolling and a full line of fire rated rolling steel doors by Wayne Dalton. As customer satisfaction is our main goal, we propose overhead garage doors that are elegant yet sturdy and energy‑efficient, capable of withstanding the harshest weather conditions. Garaga garage doors are offered in a large variety of designs, colors, materials, and insulation ratings, and will meet your requirements in terms of preference and budget. Please stop by our showroom at Cadillac Garage Door or Grand Traverse Garage Door, and our highly-trained personnel will help you choose the perfect garage door that will complement the architectural design of your home or business. You can also visit our image gallery or contact us for a free estimate. The heaviest and the biggest moving object in your home or business is the garage door. It is also the entry of choice for most homeowners. Therefore, ensuring its secure and safe opening and closing is essential. This is why we recommend LiftMaster®& Linear garage door openers, two brands to reach all your needs. LiftMaster® & Linear garage door openers are the most trusted brands in the industry. Call us today or visit our showrooms at Cadillac Garage Door or Grand Traverse Garage Door and our technicians will help you find the right door opener for the size and weight of your door. We would be happy to install them at your home, factory, barn, commercial garage, etc. Please visit our door opener section to find more about the features and performance of our garage door openers. Cadillac Garage Door & Seamless Gutters, along with Grand Traverse Garage Door offers 24-hour emergency service, call 231-920-8393. Because our goal is 100% customer satisfaction, we strive to provide exceptional services and premium quality products. We highly recommend you take advantage of our preventive maintenance program in order to ensure long life to your garage door. Besides highlighting the look of your home, the garage door plays an important part in ensuring the security of your home or business. This is why its proper installation and maintenance is of utmost importance. Cadillac Garage Door & Seamless Gutters, along with Grand Traverse Garage Door are a certified Garaga Expert and provides top quality installation, repair, and maintenance services for all types of overhead garage doors, door openers and accessories. Contact us if you experience problems with your garage door or garage door opener, or if you want to schedule an inspection. We are located in Cadillac and Traverse City, MI and we serve Cadillac, Manton, Mesick, McBain, BigRapids, Reed City, Manistee, Ludington, Kalkaska, Petoskey and Grand Traverse, or Traverse City, Frankfort, Onekama, Glen Arbor, Mt Pleasant, Charlevoix, Cheboygan, Gaylord, Grayling, Baldwin, Irons and Mancelona. Cadillac, Manton, Mesick, McBain, Big Rapids, Reed City, Manistee, Ludington, Kalkaska, Petoskey, Traverse City, Frankfort, Onekama, Glen Arbor, Mt Pleasant, Charlevoix, Cheboygan, Gaylord, Grayling, Baldwin, Irons, Mancelona.